Jack Dawkins, once known as the Artful Dodger in the streets of London, was sent to Australia on a prison ship when he was little more than a boy. 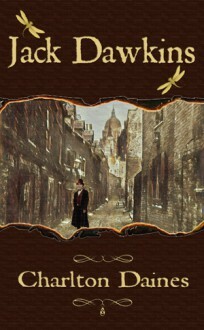 Now he has returned to find that London has changed while the boy has turned into a man. With few prospects provided by his criminal past and having developed mannerisms that allow him to move amongst a higher strata of society, Jack turns his back on the streets that would have primed him as a successor to the murderer, Bill Sikes, and quickly remodels himself as a gentleman thief. New acquaintances and a series of chance encounters, including one with his old friend Oliver, create complications as remnants of his past come back to plague him. Jack is forced to struggle for a balance between his new life and memories that haunt him with visions of the derelict tavern where Nancy used to sing.